One of the co-founders of popular photo-sharing site Flickr has taken the wraps off his latest web venture, a multiplayer online game called Glitch. 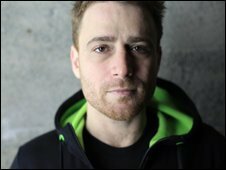 Stewart Butterfield's creation will launch in autumn 2010 but gamers can register to test the game now. The 2D platform game is initially set in a surreal, utopian future and allows gamers to collaborate to solve puzzles. It will be free to play, but the firm intends to make money by selling virtual items and premium accounts. "We want to reach as large an audience as possible," Mr Butterfield told BBC News. "We want to do for online gaming what the Wii did for consoles." The game is a return to Mr Butterfield's roots, who started Flickr as an online game - called Game Neverending - with his wife Caterina Fake in the 1990s. "The game allowed you to drag and drop photos into conversations," explained Mr Butterfield. Over time the pair noticed that most players used the platform to share photographs, and it morphed into Flickr. The site was sold to Yahoo in 2005 for $35 million (£22 million) and now hosts billions of photographs. Mr Butterfield's new venture has been developed by his firm Tiny Speck. Glitch is set in a perfect future one billion years from now. However, the world begins to fall apart when scientists notice glitches. "The only solution is to go to the past and fix it," said Mr Butterfield. The player journeys back in time - travelling "through the minds of 14 giants" who created the world - trying to fix the problems. He said the firm had intentionally stayed away from "heavily trod genres" such as "men in tights, fighting dragons". "There's no fighting in the game," said Mr Butterfield. Instead, the game is heavily stylised with bizarre and fantastic twists. For example, gamers earn points and progress by taking on tasks such as "animal kinship, gardening, alchemy and bureaucratic arts". "I find bureaucracy funny," said Mr Butterfield. Gamers can also unlock powers such as meditation, he said. "You get to stay very still for a small amount of time and can heal people around you." Gamers will be able to band together into groups in the game and interact with the it through SMS, widgets and possibly social networks, he said. Mr Butterfield said that so far, most of the development had focused on the game's engine and underlying technology. The story line and game play would now be refined in the coming months, he said. The game will begin limited testing "in the next week or so" and will begin to roll out in a limited form in the summer. 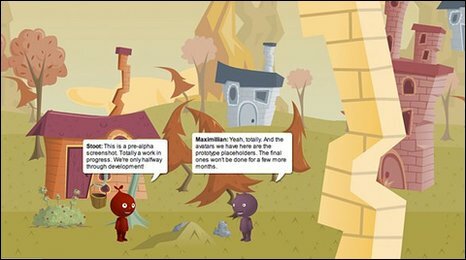 The finished game is intended to launch in autumn 2010.